Subaru is attacking the small-sedan market in a big way with the new 2014 Impreza and their making a challenge to the new Honda Civic EX, Hyundai Elantra GLS and Mazda3 iTouring sedans. What’s new for the 2014 model Impreza? Subaru is a brand that is growing quickly around the globe as new buyers are attracted to the brand for reasons that the new Impreza provides. It’s fun to drive and offers buyers a feeling of confidence with the all-wheel-drive.The new Impreza gets some new convenience and technology upgrades for 2014. It also comes with fuel economy compared to two-wheel drive compacts, but with the benefits of Subaru’s Symmetrical full-time All-Wheel drive. And who wouldn’t want that kind of all-weather security along with great fuel mileage? Subaru has announced the new Impreza will get better mileage than the outgoing model. The 2014 Impreza with CVT will offer outstanding fuel efficiency with ratings of 36 mph highway and 27 mpg city. 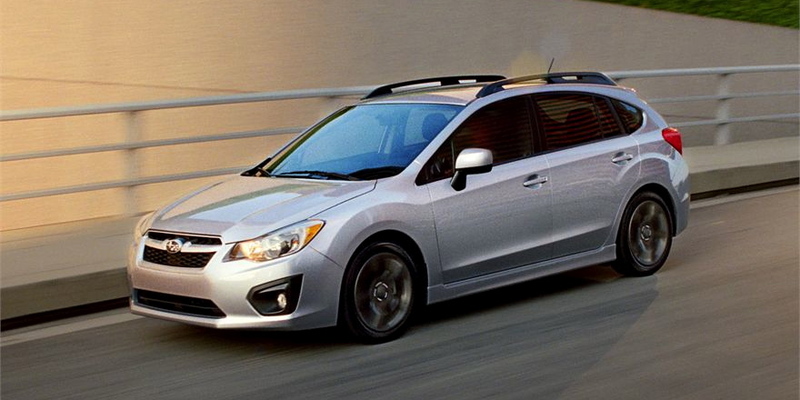 What’s new for the 2014 Subaru Impreza? The 2014 Impreza is powered by the same 2.0-liter Boxer engine and comes with a choice of a five-speed manual transmission or the second-generation Lineartronic Continuously Variable Transmission (CVT). It comes in four-door sedan and five-door hatchback models. And Performance enthusiasts can choose the newly revealed sporty 2015 WRX. And Subaru just released a new dynamic online brochure for the 2014 Impreza that offers 25 pages with cool interactive tools where fans can zoom in, bookmark pages or print all or select pages and share online. Subaru is challenging the compact sedan market and makes a compelling argument with the new 2014 Impreza’s excellent fuel mileage, all-wheel-drive security, performance models and the technology to stay connected.